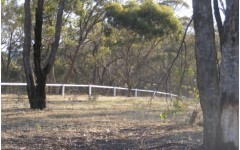 When selecting horse fence posts horse owners are now faced with a myriad of options. Over the years there have been many attempts to invent a better fence post and lots of materials tried each with varying levels of success. 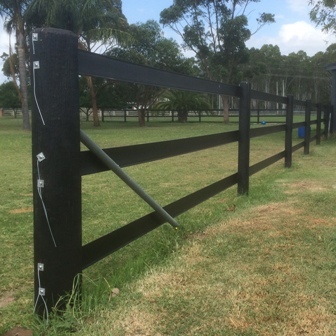 In this market how do our customers choose what is the best horse fence for their purpose? 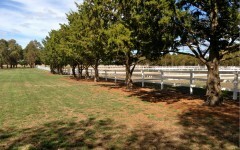 How are the horse fence posts to be installed? Before getting down to materials, shape and length an important consideration is how the posts will be installed. 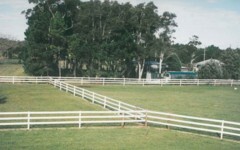 For smaller fence lines, horse arenas and the like hand digging and augers are commonly used. For larger fence lines hand digging is out of the question, and even the auger is likely too slow, so post ramming becomes a more attractive option. 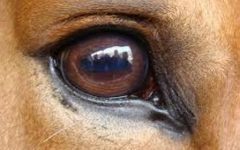 Obviously therefore for large runs for boundaries and large farms whether or not the post material is fit for ramming becomes a key consideration. The key advantage of driven posts (or rammed pots) is the strength provided by the compacted soil. 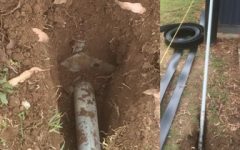 With posts set into pre drilled holes, even when set in concrete, there is always the potential for movement in the loosened soil. 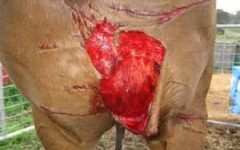 Due to the costs involved and the need for a contractor to operate the machinery ramming is not economical viable on smaller fence runs. However once the scale of the project reaches a certain size it can be reasonable economical, very fast and a high quality result. 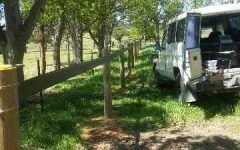 If you are considering ramming your posts in this may well limit you to hardwood timber posts and certainly will exclude some of the plastic posts on the market. 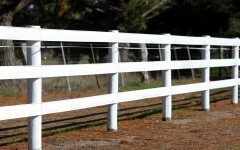 Does the shape of the horse fence posts matter? 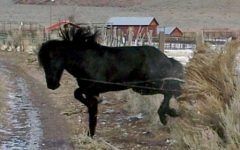 The shape of the horse fence post matters from both an engineering and a horse safety perspective. Round posts have become the new standard, particularly for timber. Round posts have the ability to accept uniform pressure and therefore can be stronger than the equivalent size square or rectangle posts. Round posts and for that matter posts with rounded corners also provide a smoother surface in the event of impact form a horse. 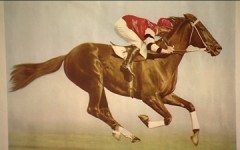 We should not under-estimate the benefit to the horse provided by the posts having no shape corners or edges. The shape of the posts will also be significant when considering impalement risk. 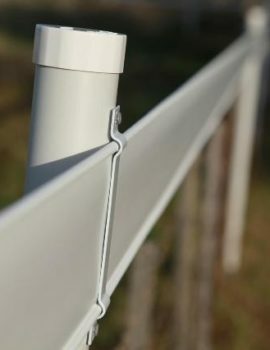 In particular metal posts, like the star picket, they present too much of an impalement risk for safe use with horses, unless they are completely smooth in shape and contour. 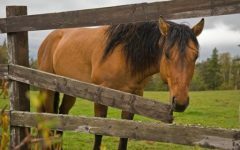 What material is best for horse fence posts? Most of our customers merely visit their local timber merchant, rural store or DIY outlet and pickup the standard timber post without question. 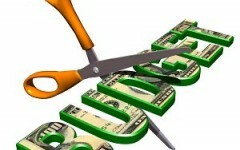 However some thought on the matter is helpful before committing to the project in order to get the best outcome. The below represents the pros and cons of the various material types. Industry standard material that is readily available and replaceable. Easily drilled which makes fittings for fence rails and gates and the like simple. May need to be painted for ideal long life and appearance. Some hardwood grades of timber not as readily available as they were in the past so some limit on the life expectancy. Consider your area and the risk. Moisture and rot. Consider the moisture level of your soil and any potential flooding. Shrinkage of wet timber when set in concrete can allow movement. Environmental and health related concerns surrounding treated pine. May not need as much painting as timber. Very sturdy when set in concrete. Impalement risk, consider the profile carefully. Harder to drill and attach rail and fittings. Can have sharp edges when damaged (and some by design). Often can’t be rammed in. Plastic Fence post with cap and our white rail. Some versions are often not easily drillable. Screws and fittings tend to pull out of plastic posts making gate and rail attachments difficult. Sometimes they become brittle with years if UV exposure. 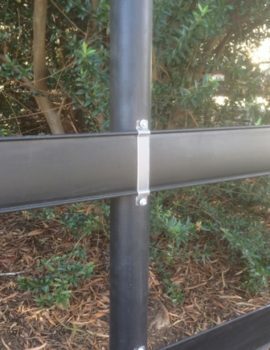 This has been the case with a lot of the PVC posts (and fences) over the years. Brittle plastic not only leads to failure but can be very dangerous with sharp edges and points when posts are broken. 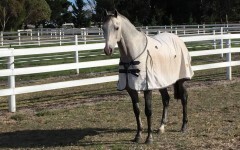 Look for UV stabilised Polyethylene posts. They lack the “structural rigidity” of timber and metal posts. 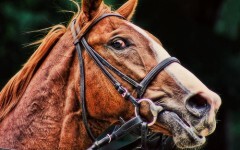 Put simply they are often not sturdy enough for horses. Posts made solely from plastic are unlikely to be suitable for straining. Some of these posts cannot be driven in. 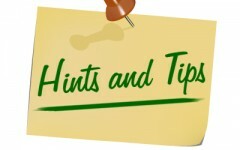 Be aware of posts that are or will become brittle. Some plastics and also fiberglass are very sharp when broken and pose a significant impairment risk. We do note however that some composite posts featuring plastic may have overcome the above. One partial solution is the plastic (usual HDPE) covered timber post similar to that sold by Woodshield. These plastic coated timbers posts have the advantage of never needing painting, but the timber core provides the strength and something for the screws and fittings to really grip into. Other posts that are solid, generally made from recyled polymers, like Plasmar, are strong enough for interim posts atleast. 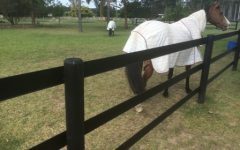 We currently sell a range of composite posts to compliment our horse fence rail, Horse Fencing Posts. compromised is these are not fitted securely and they form a pivotal part of the post itself. 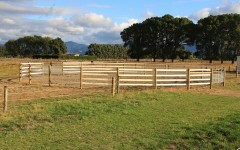 For further information on horse fence posts see our video at YouTube or Vimeo.